If you want fun while fishing then goes for fishing catfish. You will get plenty of them when it is the best time to fish for catfish. They give you a tough fight while catching. And when you catch one your dinner will be great with a juicy fish steak. This fish is not tough to catch as it bites anything. So let`s talk about Best Time To Catch Catfish. 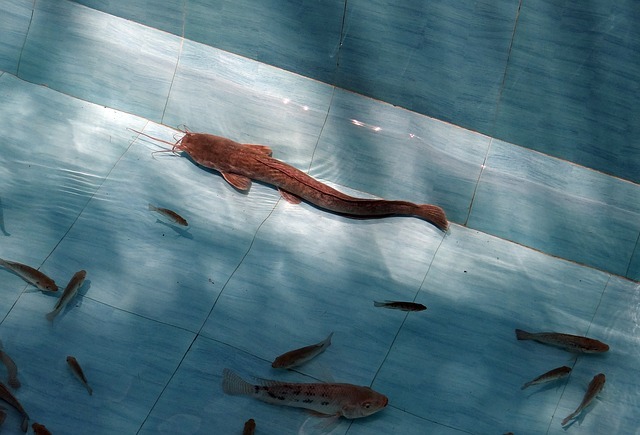 Catfish is available in all kinds of water surface. Like shallows, pond and rivers anywhere. Though different species have different habitats it is easy to get. If you want to catch this fish in the daytime then look for them in the muddy area, tree cover or deep edges. • A 6 to 7 feet fishing rod which is heavy spinning and a 14-pound steel made reel. • Bait hooks, treble hook. • Live or dead bait like worms, artificial smelly catfish dough. When everything is ready now it is time to know about the timing to catch cat fish. You can get catfish in every season. You have to know about their habits and action. It is better to catch specific catfish during the specific season. Before going to fish catfish, you have to target the species you want to fish. By this, it will be easy to guess which time will be proper for you. In winter, you will be very happy to fish catfish as this season is best for the catfish to grow and spread. In this season, you will get blue catfish a lot. You will find them in shallow or deep water. You will get this monster fish in large number. Spring time makes the water temperature high and changes come in fish behavior and growth. This season is not perfect for the first-time fisherman. Because they can’t get the changes to water and fish behavior. While there is a change in the temperature the fish gets scattered and they hunt for food but it happens in a certain time. To figure out this certain time is quiet tough. As the water gets warm so the activity of the fish gets hyper. As the fish becomes tired in winter because of less food, they just get crazy for food. So, this is the time to catch catfish easily in quantity. Channel catfish and flathead catfish is adequate at this time. Summer time is the best time to catch catfish. In this period, the fishes are spawning. You will get blue catfish, channel catfish and flathead catfish to catch. But catching spawning fish is quite difficult. Bluehead and flathead is tough to catch. 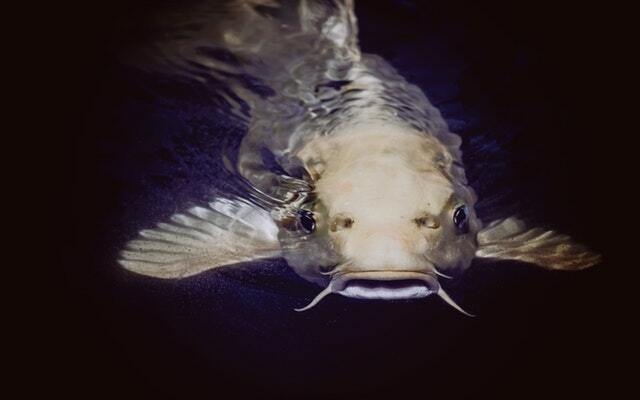 You can catch channel catfish in large number as they are easy to catch in spawning time. And if you target flathead you will get big flathead fish. Try to catch them with patience. Fall is the time when the water temperature gets cold. By this the catfish is not available. They tend to hide until the water temperature gets little warmer. When the water temperature gets stable for the fishes then you will be owner of a lots of catfish. You will get every type of catfish and they are fat and delicious. Because in winter the catfish tend to be lazy and tired. So, when the water gets warm they feed heavily. You can apply any techniques to catch catfish in this time. Now you may ask why to catch specific species in specific time. It is for getting the best one in the best time. All year you will get catfish but in that period, you will get the best catfish ever. • Channel catfish are available in all time. But during summer time and pre-spawn period you will get tasty channel catfish. In spring and fall time you will locate them but it will get tough to catch them. • To catch blue catfish spring and fall time is best. But to catch trophy blue catfish, you have to wait for summer. • Flathead catfish are ready to be caught in a winter time. That time the fishes are pre-spawning. 1. At first get a perfect rod and line matching the size of the fish you want to catch. 2. Try to get long fishing rod. 3. Take all kinds of hooks and equipment’s. 4. Bobbers are helpful during night fishing. 5. Bucket and cooler will be handy when you are done with fishing. 6. Baits are very important to catch a fish with. Try to take different kinds and types of baits. There are cut bait, live bait, night crawlers, craw fish and also artificial baits. Experiment with them and check which baits gives good result while catching fish. Check the bait size while you are catching fish. the Keep size of the bait same like fish. Large fish needs large baits. Try fresh bait the or else you will not get fish. 7. You can use slip bobbers which works perfectly in shallow water. Large fish likes bait in bottom water and the bobbers will help you to attach that. Catfish become active when they are in spring time. In winter, they do not get so much energy as they are tired and have less food. When the water gets warm the fish becomes active and hungry. They just go and scatter for food. This time is the best time for fishing. It is your duty to find the best time to catch fish by observing the fish habit and the water temperature. If you use the right bait while catching catfish, then your fishing mission will be a success. Just use live bait like goldfish, suckers, herring, minnows and fresh chicken liver. Your catfish fishing will work like a magic. 2. Smelly Chunks of Lifeless Fish. 3. Live Fish: Catfish love shad and golden shiners and if they’re alive, they will love it. With a live bait, you will get the big and large catfish easily. 4. You can make a mixture to create a bait. But this mixture is very smelly. You can’t make it at home. You will need rotten mullet and Velveeta cheese. Mix it and make the smelliest but effective bait for cat fish. 5. Soap can also be use as catfish bait. Ivory is perfect as bait. 6. Use hot dogs. You will see your boat will be full of big catfish in no time. 7. You can use scented lure for catfish. This lure looks like a live bait and when they are in water, they spread a special smell which makes the catfish come to the place must. 8. Using vibrating lure to catch catfish. Don’t cover the hook with bait, just let the hook to be seen. Catfish don’t bother about hook, only they care about is food. So, when you ae in catfish catching mission, remember this tip. You will never fail. Don’t go occasionally to catch fish. Ty to do fishing in all season. Catfish is available through all the season. Just you have to apply some catching techniques and you will get catfish a lot. Yes, catfish is available in whole year but you cannot catch it now and then. You have to find the certain time to catch it. Like you may not catch catfish in heavy rainfall or deep snow. Catfish usually loves to stay in Lake channels and edges. You will also get them in brush pile, joined hump, channel edges. You have to wait for a cat fish to come get stuck to your bait. Just sit, wait and catch the catfish. To remove the hook from fish mouth you will need pliers. A chair especially folding chair to sit while you are waiting for the fish to come. For cleaning, lots of dish cloth or wash cloth. An ice trunk where to put cold drinks and your live bait and chicken liver to be fresh. A good knife to cut bait. A fishing hat which will work as shade in a hot sun. I love to catch catfish, not for food, I fish it just for fun. You can learn many fishing related things like observing water condition, knowing the baits, learning techniques. All these make your fishing experience rich. Fishing catfish is fun. As they eat anything, you don’t have to worry about special baits. Just know about the best time to catch catfish. And other things will get easier. To catch a catfish, you don’t need to be experienced, anyone can catch them. Just you have to keep the knowledge of the water temperature and fish habits. Then the fishing process will get easy. catfish is delicious as the food. But fishing catfish is only for fun and thrill.